If you operate a business website in Ireland, SEO is no longer something that you can afford to overlook. The online environment is simply too competitive to ignore the traffic that you could be getting through the search engines, and if your website is not appearing at the top of the results pages, it’s almost certain that you are losing business. Baldwin Digital is a professional SEO company providing SEO services throughout both Ireland and overseas. We have existing clients in counties such as Cork, Dublin and Galway. Take a look at our testimonials and see what clients are saying about us. This will also show that we are able to work within any industry or niche. Search engine optimisation (SEO) is so much more than getting ranked quickly or using quick fixes to get your website noticed. In fact, using unethical and forceful SEO techniques is the fastest way to attract a Google penalty and see your website plummet below your competitors’ search engine listings. 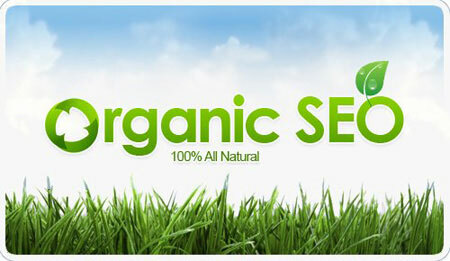 The only effective way to increase traffic and conversions in the long term is to tap into the power of organic search. In doing so, you will increase the reach, trust and authority of your brand and experience more conversions and profits as a result. We offer a wide range of affordable and flexible SEO packages that will give you more local and national exposure no matter what your industry or niche. Building long term SEO strategies for our clients is what we do best at Baldwin Digital, and organic traffic plays a key role in the process. By optimising your website and other digital marketing channels using best practice SEO techniques we help you to avoid search engine penalties, to comply with the latest updates and to reach more targeted leads than ever before. What’s more, organic traffic is free and gives you results over a long period of time. Paid advertising, on the other hand, may be quicker to set up but the results can often be hit and miss. SEO is more of a marathon than a sprint, but the results are well worth the wait and will bring you in leads and conversions for many years to come with a relatively small investment. If you have suddenly seen traffic, enquiries and sales plummet, you could be the victim of a Google penalty. This may be because you hired an SEO agency that used unethical SEO techniques or there could be something wrong deeper within your website that is not immediately obvious. At Baldwin Digital, we keep ahead of the latest Google algorithm updates and best practice guidelines so that we can help our clients to remain compliant at all times. We can investigate the reason for your Google penalty and help you to restore your website and search engine position. Our SEO packages give you peace of mind that you are receiving professional SEO services that focus on tangible results and the future growth of your business. Speak to our SEO consultant experts today to find out more about the SEO services we have to offer and how we can enhance your traffic, conversions and profits. Our affordable, effective and no contract SEO services are why we are one of the leading SEO companies in Ireland today. The response from our website has been amazing due to the optimisation of our pages to both the public and private sectors. We have received great business due the high presence of our profile in the search engines. As a result of this prominence (first page of Google), it has most definitely reduced and furthermore eliminated advertising costs which we would have previously spent throughout the year. It has most definitely been a cost saving way to put our name out there, in full view!